A whole family of Jessies!. Please tell me there isn't something wrong with me, because these are seriously all mine.. HD Wallpaper and background images in the Jessie (Toy Story) club tagged: jessie toy story 2 jessie the yodeling cowgirl pixar toy story 3. Please tell me there isn't something wrong with me, because these are seriously all mine. 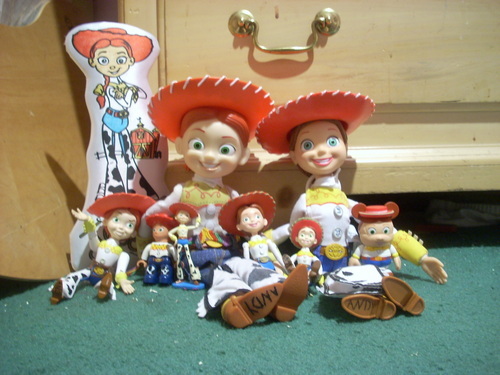 I have like a lot of Jessie dolls ones I had since I was little and some since Toy story 3 came out.